By Car: There is ample free parking outside. 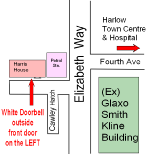 By Train: Harris House is approx 30 min walk from Harlow Town Station. 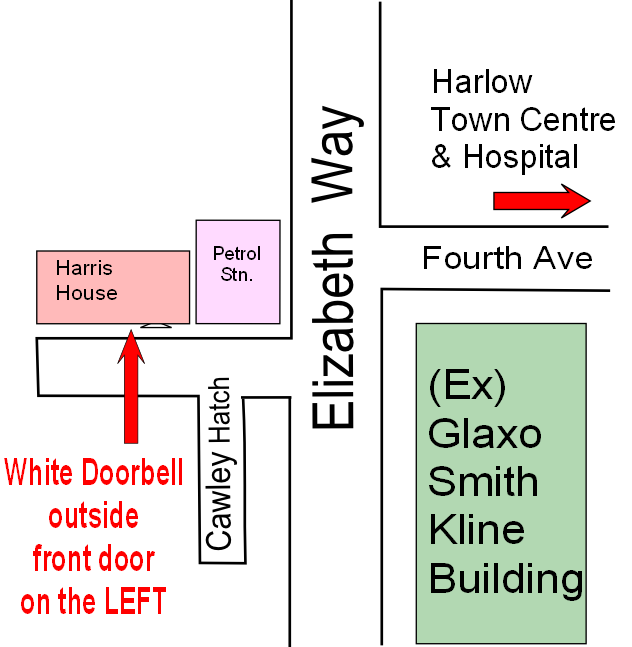 By Bus/Foot: Harris House is about a 20 min walk from Harlow Bus Station.